The multimedia studio Ectoplastic UG is based in Halle and Leipzig. Our work is characterized by the passion for experimental sound, musical experiences and creative exchange in various cooperations. The development on "Mazetools" comes along our focus on new ways of interacting with sound, like multi-touch and motion tracking as well as immersive media formats like multi-projection, surround / spatial audio and virtual reality. We convey our knowledge about electronic music in workshops and are continuously working on music projects and audiovisual performances. Feel free to contact us. born in 1986, is doing administrative and public relation work around Mazetools. 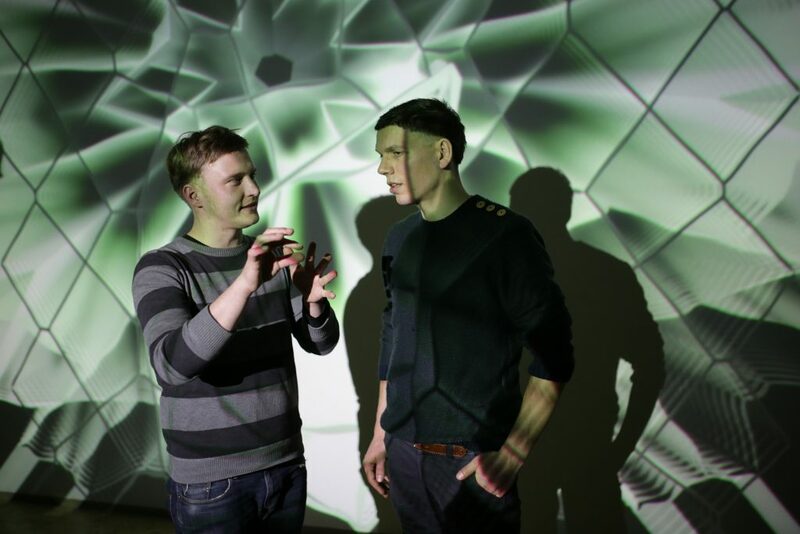 The musician and sound designer studied Museology and gives workshops around electronic music and rap for young people. Jakob is involved in various cultural and media art projects.